As hair thinning, recession, and balding affects millions of men and women worldwide, it’s no wonder there are always new treatment methods coming onto the market. One such method is Platelet-Rich Plasma (PRP), and it’s being used with high success around the world (1). In this post, I’ll introduce PRP and what it may mean for hair loss sufferers. This will include a look at how PRP is performed, how it works, as well as the scientific evidence behind it. I’ll also highlight a few alternatives. There are two definitions of PRP which I’ll be digging into today. The first is the literal definition, and the second is the definition as it refers to the hair loss treatment method. Platelet-rich plasma is a ‘product’ derived from whole blood. 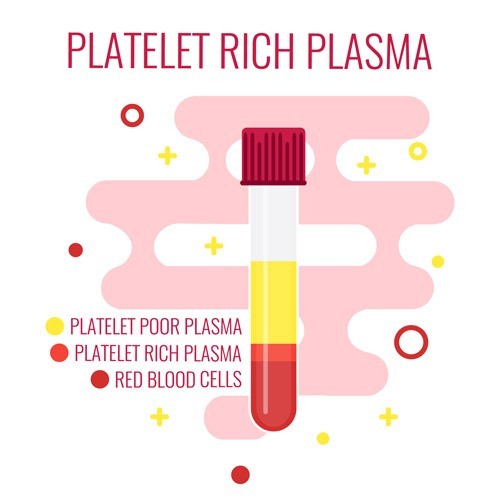 It’s a concentrate of platelet-rich plasma protein where the plasma has been separated from the other blood products (including red blood cells) with a centrifuge. Essentially, plasma is the substance within your body that suspends the blood cells. Aside from suspension, however, it also acts as a protein reserve (storing protein until it’s needed elsewhere) and plays a role in electrolyte balancing. Now, what does this all have to do with hair growth? Well, there’s a second definition of platelet-rich plasma, and that definition refers to a use as a treatment method for hairline recession and thinning. 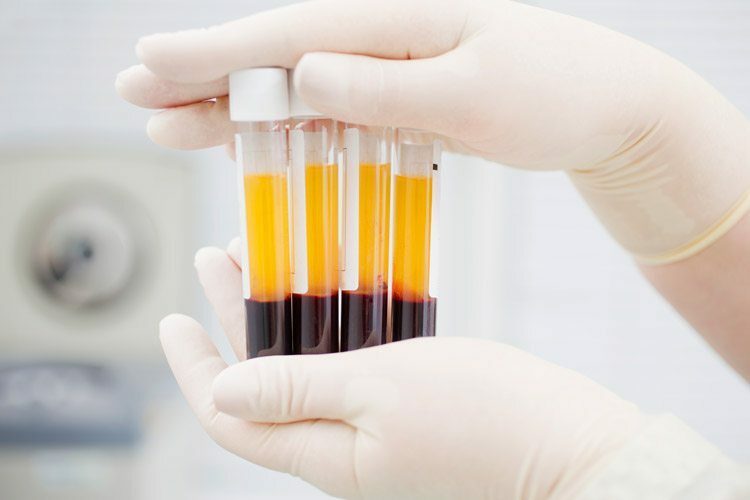 PRP is a non-surgical method that uses your own blood to generate growth. This is done with tiny injections into the affected areas of the scalp, and it can be used in conjunction with other treatment methods (such as hair transplantation) or alone. There are two stages to PRP hair loss treatment. First, blood is drawn from the patient and that blood is separated using a centrifuge. The separation occurs between the plasma and the red blood cells. Second, the plasma is extracted from the collected blood and injected into the patient’s scalp where shedding has occurred. Multiple injections are performed in one session, and a typical session lasts about 60 minutes. It seems a bit odd to draw blood from your body only to then reinject a portion of that blood again. So, what’s the deal? It first helps to understand the proteins and other components present within the blood’s plasma. While each GF works differently, they all have a similar end goal: to promote cell proliferation and differentiation. 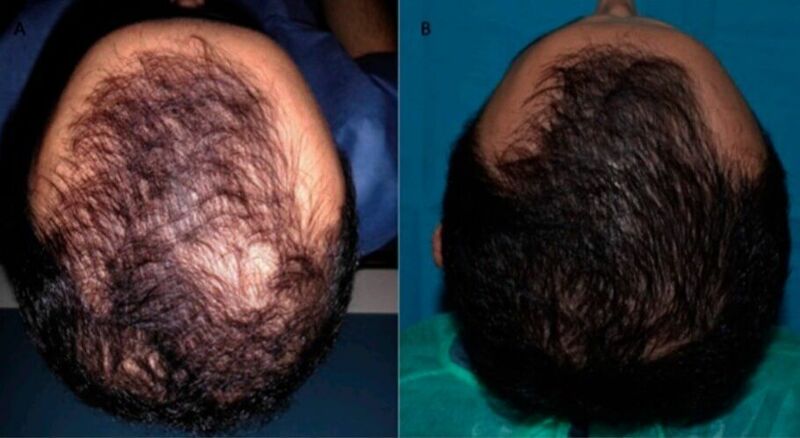 This is believed to be done through stimulation of stem cells within the follicle giving rise to new hair (3). Stem cells – undifferentiated cells that are capable of adapting into other cell types during development and growth – actually play a significant role in hair growth (4, 5). They are located at the bulge of the follicle – the area where new follicular units are formed – and when activated, can contribute to the formation and elongation of new follicles and hair strands. As discussed, the GFs present within plasma can stimulate these cells. Additionally, PRP is believed to stimulate blood flow to the area. This provides the hair follicles with vital nutrients and oxygen and leaves them in a healthier, stronger state. While PRP is still undergoing extensive scientific testing, we do have the results of a few previous studies. There’s still much that’s unknown about platelet-rich plasma in the treatment of hair loss, but the little we do know is promising. This study is one of the larger-scale studies on PRP with 25 volunteers participating (6). The study was double-blind, and each volunteer received treatment on one side of the scalp and a placebo treatment on the other side. A total of 3 PRP treatments was performed, each 1 month apart. 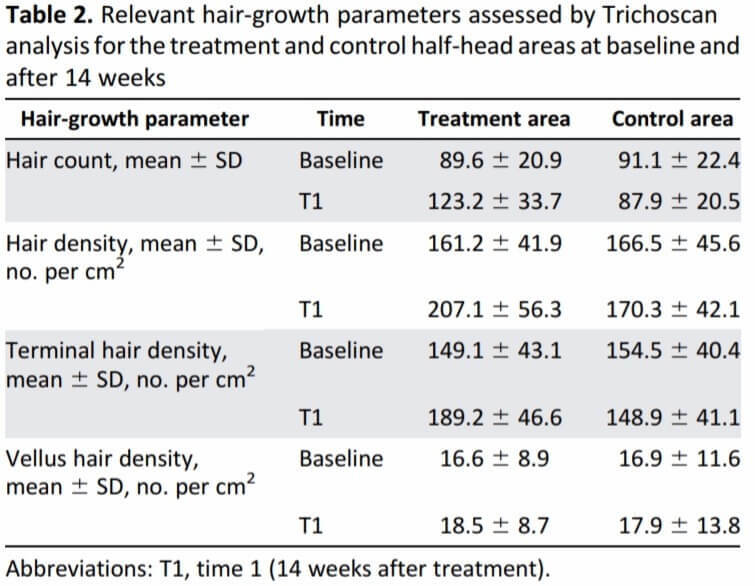 Three months and six months after initial treatment, volunteers were assessed for hair density and growth when compared to baseline. As discovered, the side of the scalp to receive PRP saw an increase in anagen hairs and in hair density when compared to the control side. 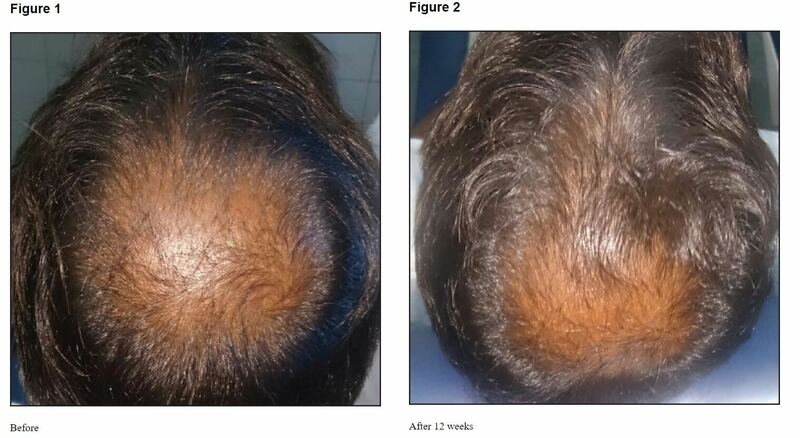 With such positive results, researchers concluded that PRP could certainly be a suitable treatment for Androgenetic Alopecia. In this placebo-controlled study, 23 male subjects participated overall (with three being excluded at the end of the study period) (7). 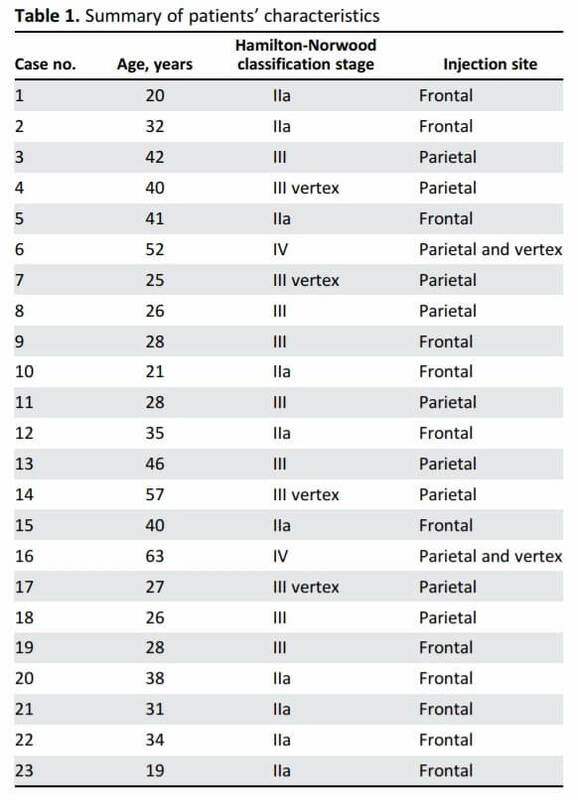 Subjects were between the ages of 19 and 63, and all had at least a IIa on the Hamilton-Norwood classification scale. All subjects were treated with PRP. However, the injection site varied by individual, and the trichologists who studied results were blinded to the groupings. 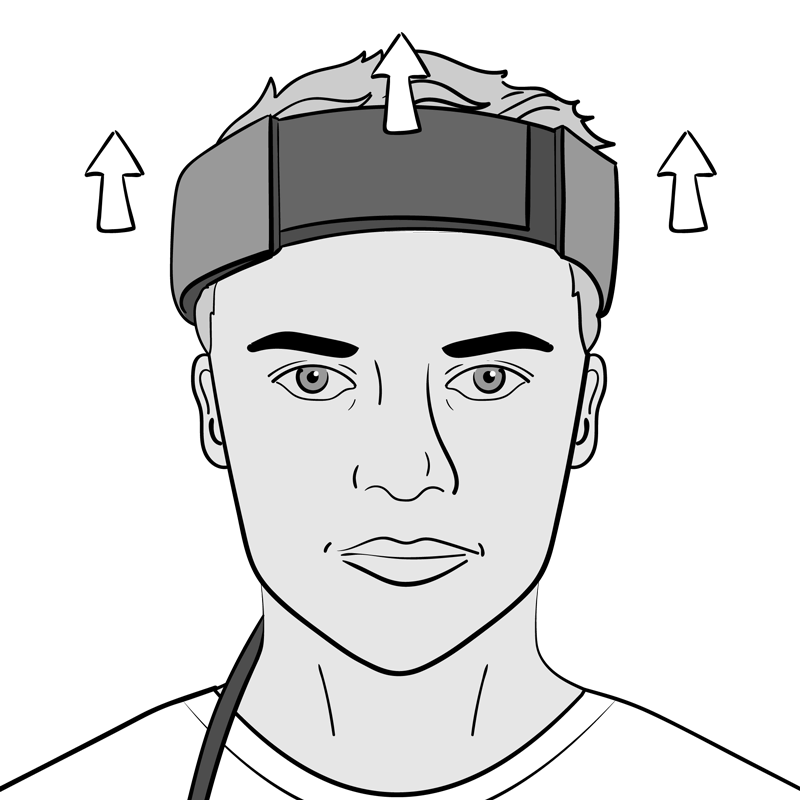 Evaluations were performed in six stages (T0, beginning of study; T1, 2 months; T2, 6 months; T3, 12 months, T4, 16 months; and T5, 24 months). Additionally, various evaluation methods were used, including global photography, physician’s and patient’s global assessment scale, and standardized phototrichograms. While these results seem impressive, what does this look like in reality? This smaller-scale study – consisting of 20 participants in all (10 treatment, 10 placebo) – also shows promising results for hair loss sufferers (8). For 3 months, patients were injected with PRP every 2-3 weeks. At the end of the study, a look at results (including hair counts, hair thickness, hair root strength, and overall alopecia) was done. 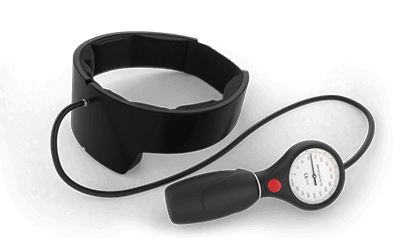 As is seen above, there was an average reduction in hair loss during the hair pull test of 65%! Patients with early signs of balding will likely see the most favorable results, however patients at any point on their journey may see positive effects. If you’re currently ill or undergoing treatments that are known to cause hair thinning and shedding (such as chemotherapy), it’s suggested you wait until the illness/treatment is complete. Are There Any Side Effects or Considerations? While trials are still underway, there’s no definitive answer as to side effects. However, current studies show that the risk of side effects is minimal. As the treatment involves the use of a patient’s own blood products, it makes sense that side effects commonly seen in hair loss treatments (such as hair transplants and Rogaine/Propecia) aren’t present. There are no foreign substances being injected into the body, and yet it still proves to be powerful enough to regrow hair. You may experience minor irritation at the sites of injection, including itching, tingling, and redness. However, these irritations should go away within a day or so of treatment. While not a side effect, you should also consider that results will vary. Your surgeon may be able to give you a general idea of results, but even these are estimates. Overall, I recommend you go in with conservative expectations. The cost of treatment will vary by location, severity of hair fall, and surgeon. However, we can provide you with a few estimates based off of reviews from real users. According to the prices submitted by 77 users on RealSelf, the average cost of PRP for hair loss across all locations costs $1,725. These ranged from as low as $50 to as high as $5,000. The average will vary slightly by location. For example, the average decreases to $1,500 when only looking at London, UK reviews. Before moving forward, it’s best to consult with at least three surgeons who specialize in PRP in your area. Through these consultations, you’ll get a better idea of cost, how many sessions you’ll require, and what results you may be able to expect. Is There An Alternative to Platelet-Rich Plasma Treatment? However, some may not be too keen to undergo this experimental treatment. So, what are the alternatives? While the main mechanism behind PRP is believed to be stimulation of stem cells, another is stimulation of blood flow. The first cannot be achieved with microneedling, but the second certainly can! Through this process, collagen is stimulated and new skin cells are produced (9). This leads to the growth of healthy, new skin and hair follicles along with it. Microneedling can be performed by a dermatologist, or you can do it at home. All you need is a clean microneedling tool (such as a dermaroller). Another newly-developed hair treatment method, laser therapy (or Low-Level Laser Therapy (LLLP)) can be a more cost effective alternative to PRP. To understand how this works, it’s important to understand lasers. Low-level lasers work by penetrating the scalp’s surface and interacting with specific cells within the hair follicles. As these cells are stimulated, the laser’s light is turned into energy which is then used to perform a number of hair growth processes (10). All of these processes and more enable you to regrow your hair, and they can also make it possible to prevent future hair loss. While you can undergo expensive LLLT in a specialist’s office, you can also perform the treatment at home. 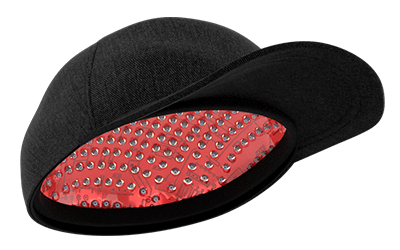 There are combs and helmets for this very purpose, and their use on a regular basis can work to bring your hair back to its natural glory. Is platelet-rich plasma an effective hair loss treatment? Looking at the most recent scientific results, it appears to be. Of course, as the scope of treatment continues to widen, more research will become available. However, if high-priced treatments aren’t something you’re interested in, there are lower cost options (such as microneedling and LLLT) available for you to consider. What kind of dermaroller do you recommend using? Do you know if PRP is for a whole life as Minoxidil? I recommend using an adjustable dermastamp. For various reasons this is better than a roller. I had a really successful PRP treatment a few years ago. The only downside, from what I understand, is the results wear off and you have to keep getting treatments. Is this your understanding? Hi Elliott, yes that is also my understanding, that the good results wear off. But isn’t that true for everything that it doesn’t last for ever. A treatment once every two years doesn’t seem too bad. Plus you can use the natural methods that we discuss here to maintain and even improve the quality of your hair in between sessions. Loosing extensive amount of hair in my early 30 is way more heartbreaking then anything i ever have felt. One of my friend advised me to go opt for PRP therapy. I took the advise and guess what the results are amazing. That’s what matter for me, so relieved!